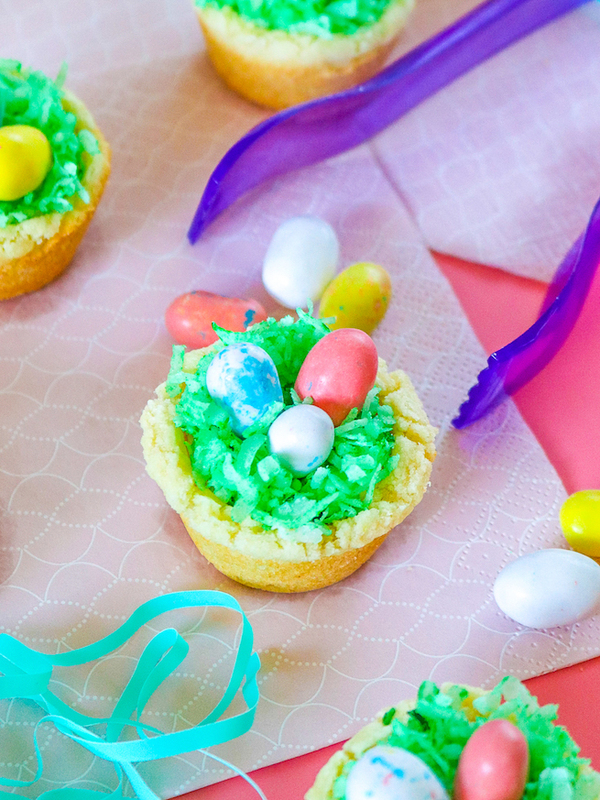 Yummy Coconut Easter Basket Cookie Cups! I’m going into the hospital tomorrow to have a few tests done and it will put me out of commission for a few days. Wish me luck and send some good vibes my way! 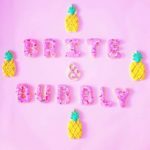 With that said, my friend Holly from ClubCrafted.com has stepped in to help me keep the Brite & Bubbly party going, by contributing a few posts for the site. 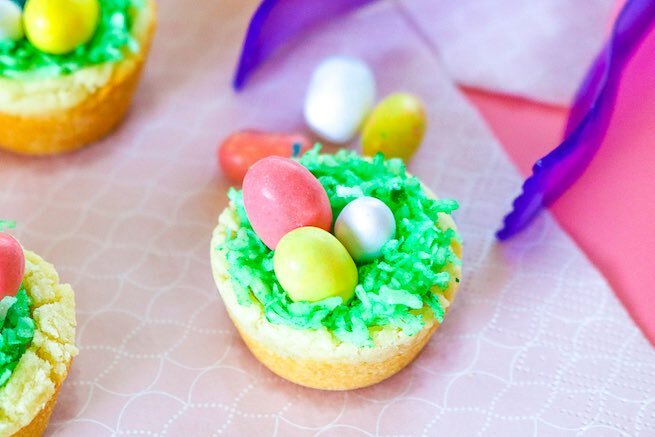 We’re keeping the Easter party going by bringing you these super cute and easy to make Yummy Coconut Easter Basket Cookie Cups! Check out how to make them from Holly below! It’s that time of year when I, Holly, can indulge in lots of holiday candies. Whopper eggs are one of my absolute favorites! I’ll take any excuse to eat more candy! 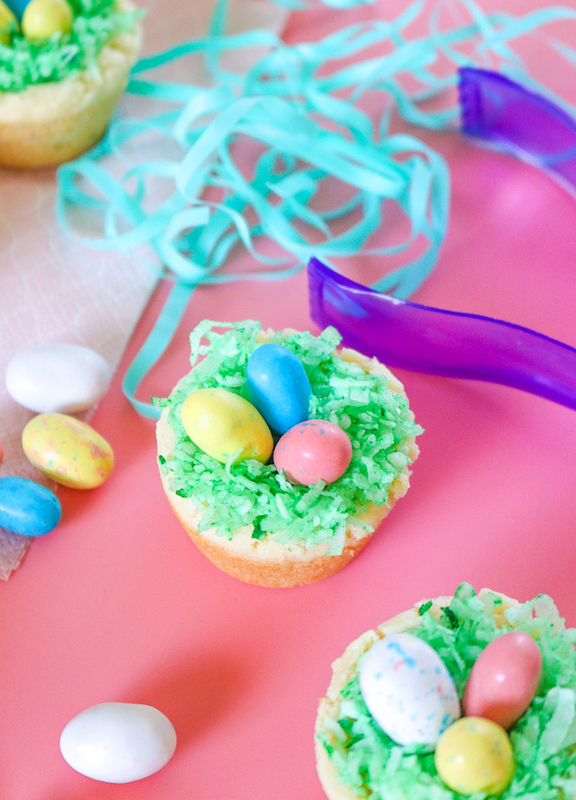 Easter is also a really fun time of year for making themed treats for family brunches and other gatherings. 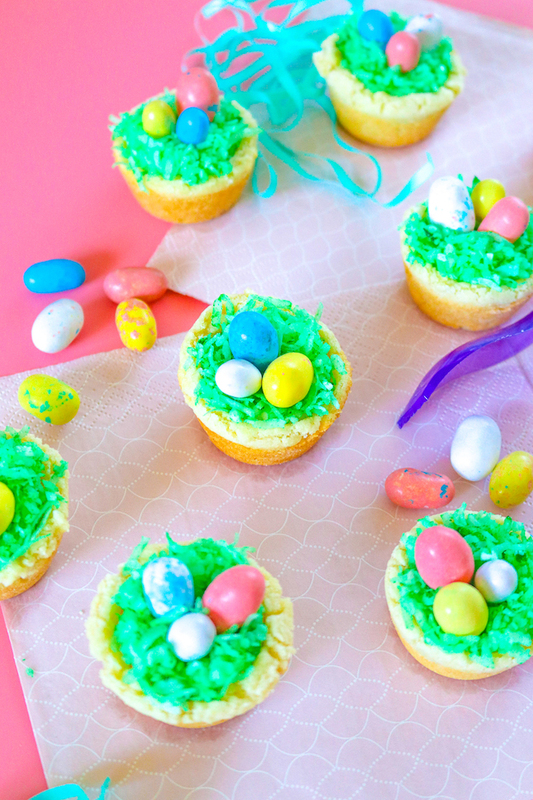 This time, I made a batch of coconut Easter basket cookie cups that you can use either homemade or store bought ingredients to make to celebrate the holiday. 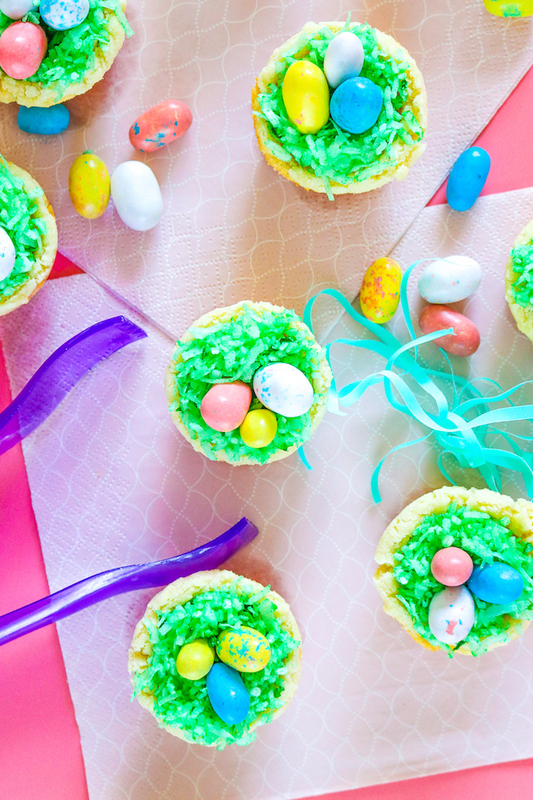 With coconut “grass” and candy eggs in mini coconut sugar cookie cups, these little bite-sized treats look like Easter baskets and taste sweet with just a hint of coconut. It is spring after all, so it’s the perfect time to start incorporating more tropical flavors. These are perfect for gatherings with kids or adults, and you can mix it up with your favorite Easter egg-shaped candies, but I personally loved the Whopper eggs. Depending on the time you have to make these treats, you can absolutely use store bought sugar cookie dough and frosting, but below is a recipe for soft sugar cookies with a light coconut flavor. This recipe makes about 24 cookie cups. In one bowl, whisk together the flour, baking powder and salt and set aside. In the bowl of your mixer, beat the butter until smooth. Add the oil and sugars, mixing until smooth. Mix in the vanilla and coconut extracts, then the egg, beating well. Mix in the dry ingredients a little at a time until barely combined. Chill the dough for at least one hour. 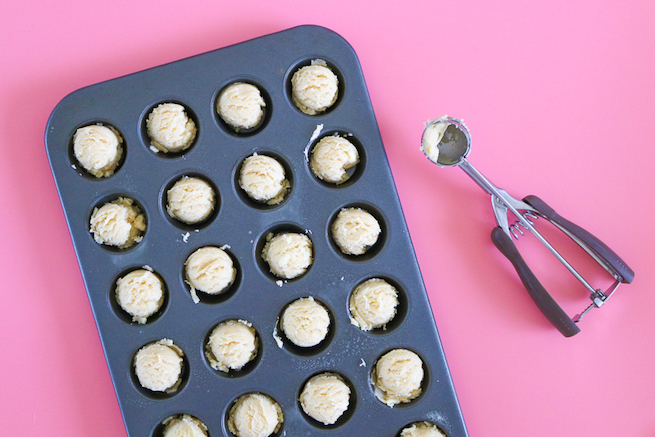 Once chilled, preheat the oven to 350 degrees F and lightly spray a clean mini muffin pan with cooking spray. 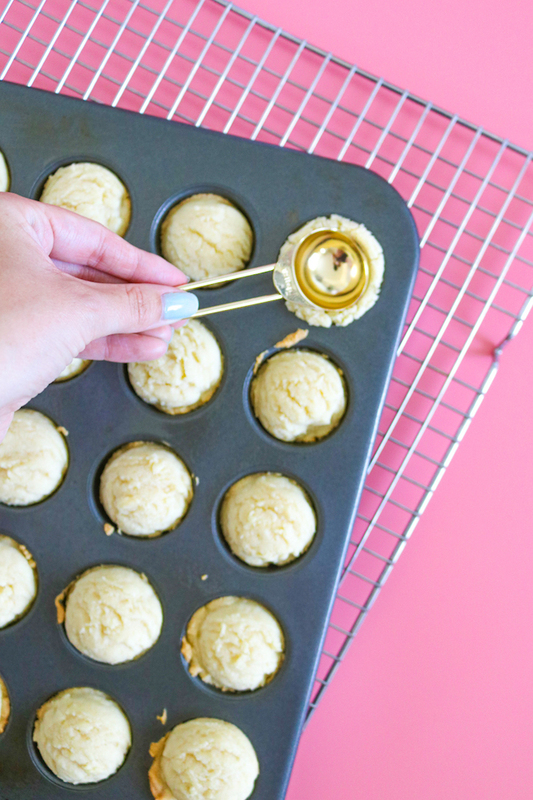 Remove the dough from the fridge and use a cookie scoop (or roll balls with your hands) to scoop a ball of dough into each muffin cavity. Bake for about 10-12 minutes until barely browning on the edges. Remove and immediately use a teaspoon/tablespoon to press into the middle of each cookie so that each looks like a mini cup. Set aside to cool completely before removing from the pan. Pour the coconut into a plastic container with a lid and add several drops of green food coloring (liquid is better than gel in this case). Close the lid and shake vigorously until the color is evenly distributed, and top each cookie cup with green coconut “grass” so that it entirely covers the frosting. Lastly, lay about 3 eggs in the middle. That’s it! You’re done! 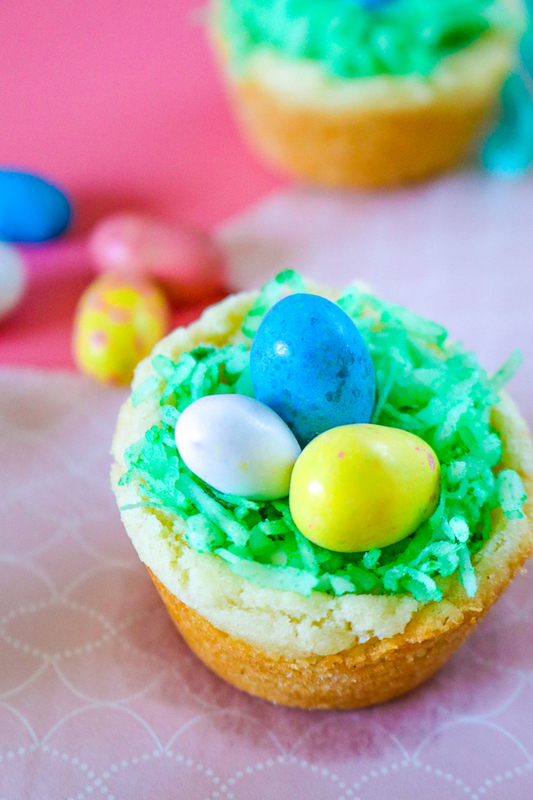 You can now serve these tasty Easter treats to whomever you plan on serving them to. They would be perfect for Easter brunches or for treats for kids to take to school. 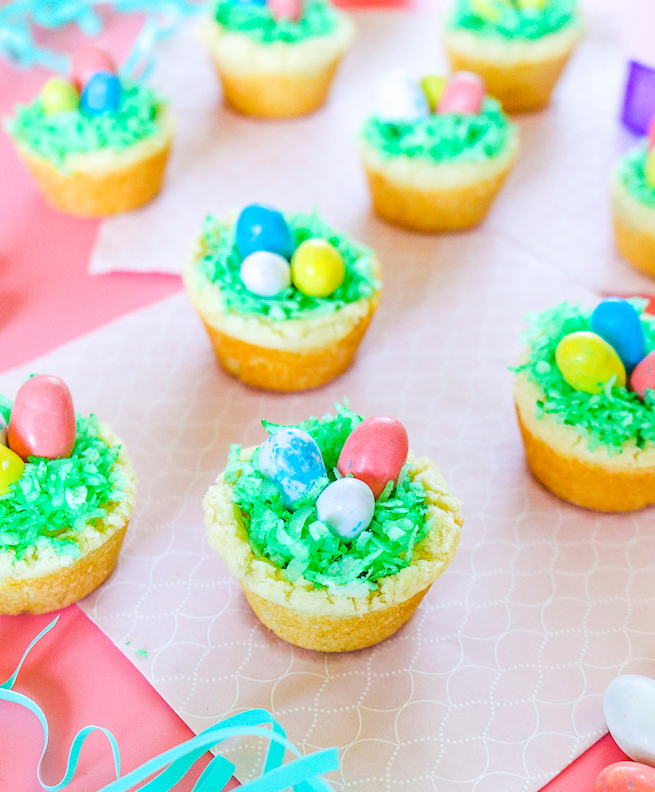 How ever you decide to share these tasty Easter treats, I’m sure they will be a big hit! Thanks so much to Holly for this amazing post! 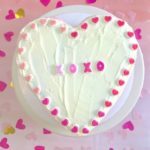 Be sure to check out her blog Club Crafted too! 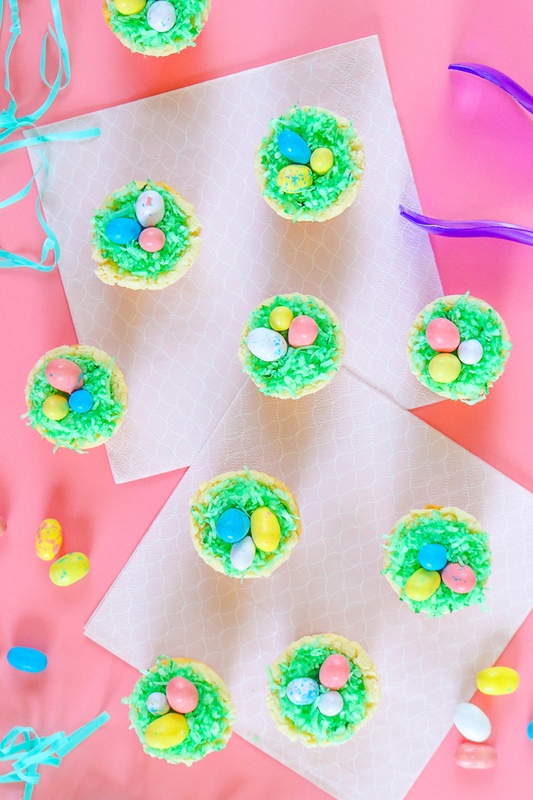 You can find more fun Easter DIY’s and Recipes HERE! 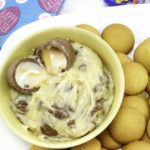 Yummy and Easy Cadbury Egg Dip! 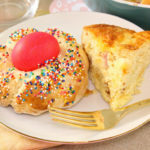 Easy Easter Brunch Recipes: Italian Easter Bread & Puffed-Pancake Casserole!